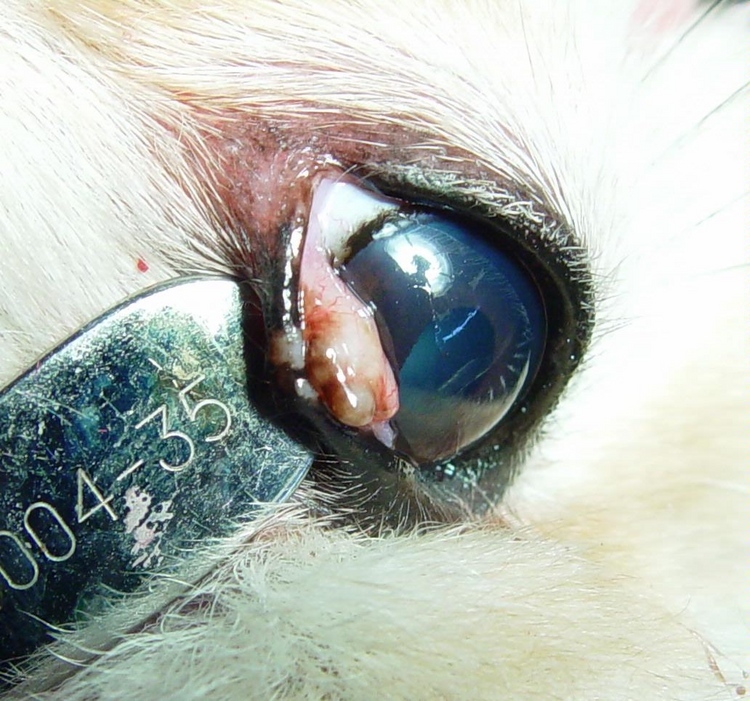 Corneal ulceration is an immediate cause of ocular discharge, a major concern and discomfort for the patient. 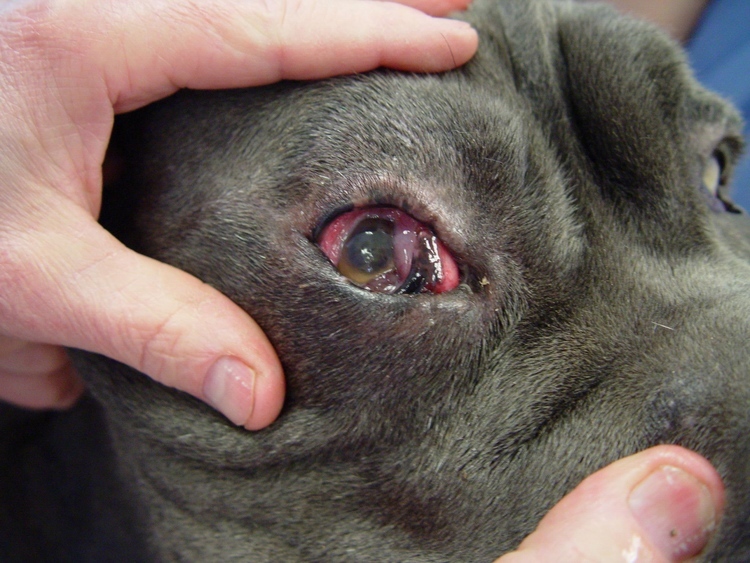 If left untreated, the situation will progress and may ultimately lead to ocular perforation. In most cases early detection and treatment will produce a successful outcome. 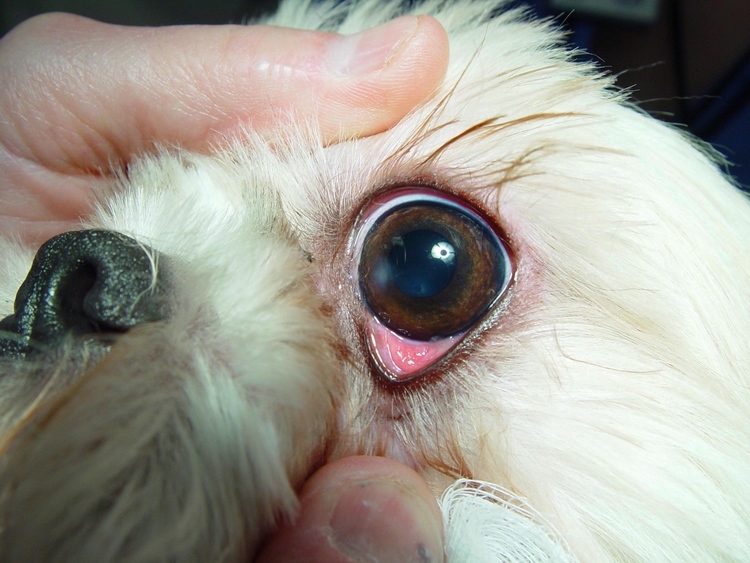 "Gizmo," a middle aged Shih Tzu, was presented with obvious discomfort, having a difficult time opening his left eye. 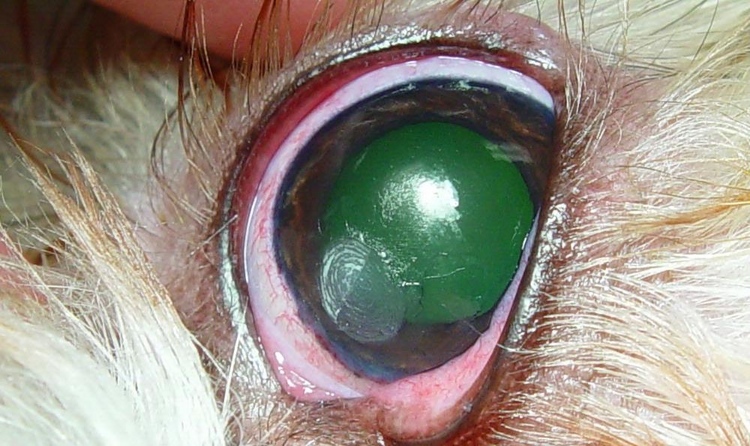 An initial diagnosis of corneal ulceration was made and confirmed with magnification and fluorescein corneal stain. 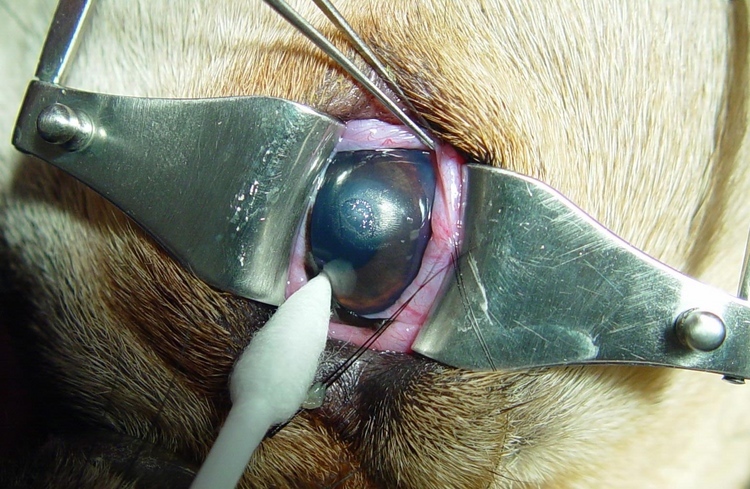 The ulcer was superficial involving the top layer of cells that cover the cornea.Topical medications were dispensed to support the conservative treatment and control the associated pain. At the time of the 48 hour recheck the condition was much worse. 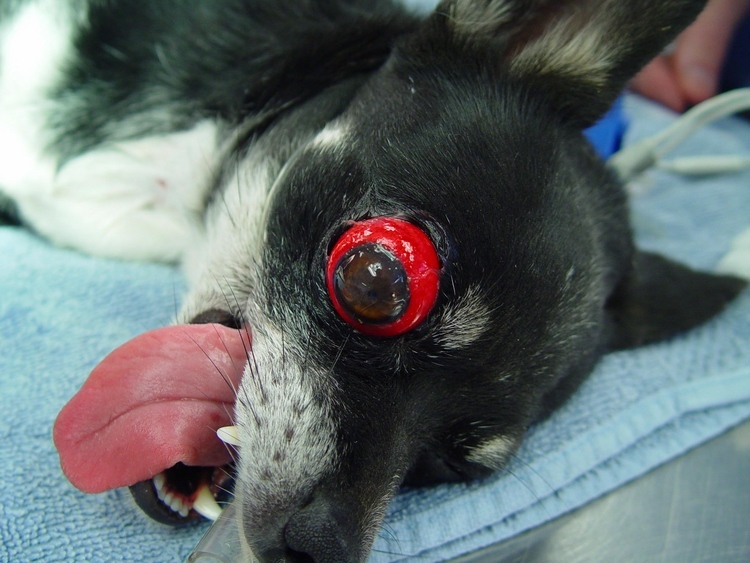 It had progressed from a superficial to a large deep stromal ulcer requiring more agressive repair. 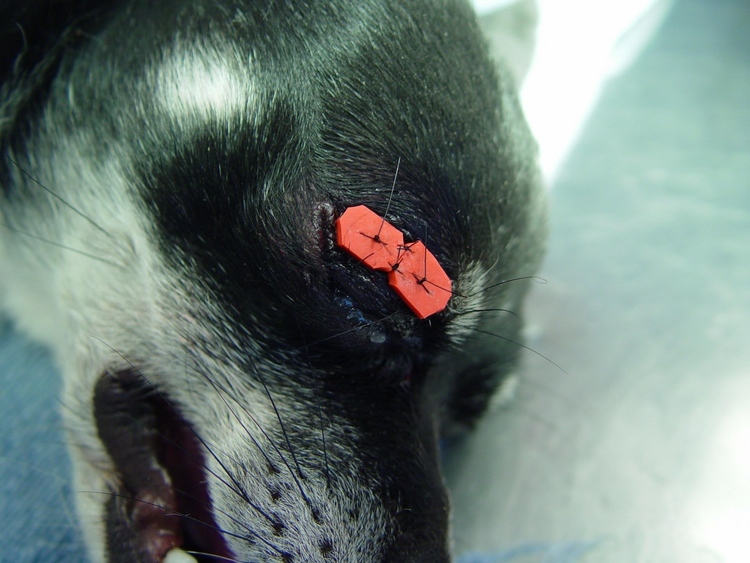 A general anesthetic was administered to better evaluate the damage and formulate the most effective treatment options. 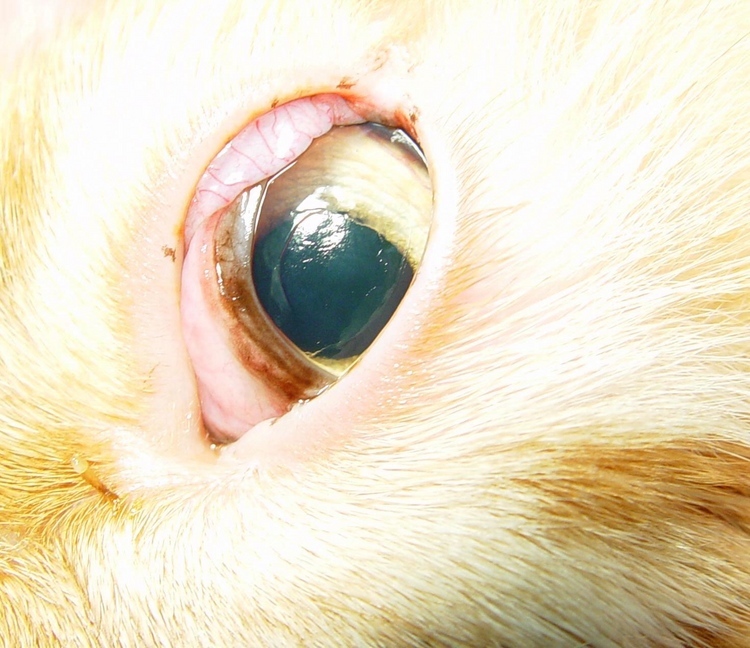 Special attention was given to the size and depth of the defect knowing that over zealous treatment would result in rupturing the eye. The eye was stabilized with lid retraction. 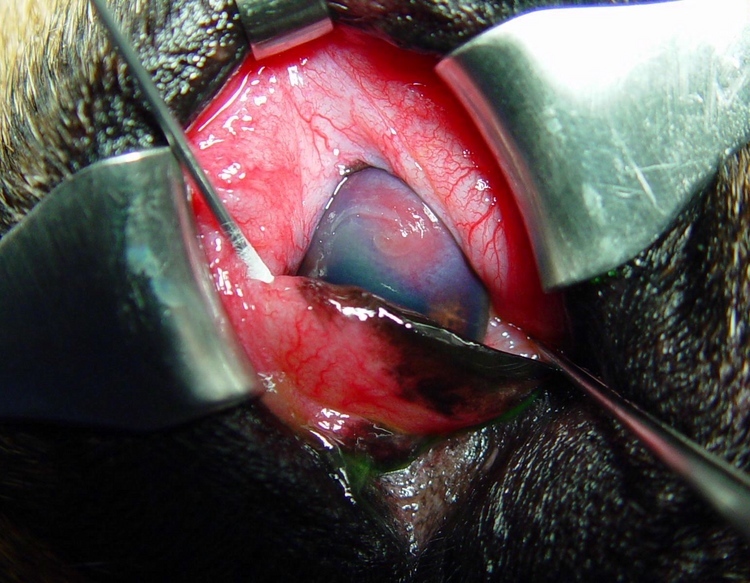 The borders of the ulcer were carefully laser debrided and tacked down to promote quicker healing. It is important to protect the body of the ulcer from organism invasion and further trauma. Several methods can be used to protect and promote healing of the ulcer. The synthetic absorbable tissue adhesive was chosen to cover the defect and act as a temporary patch while healing takes place. The patch will either dislocate or be removed in approximately 2 weeks. 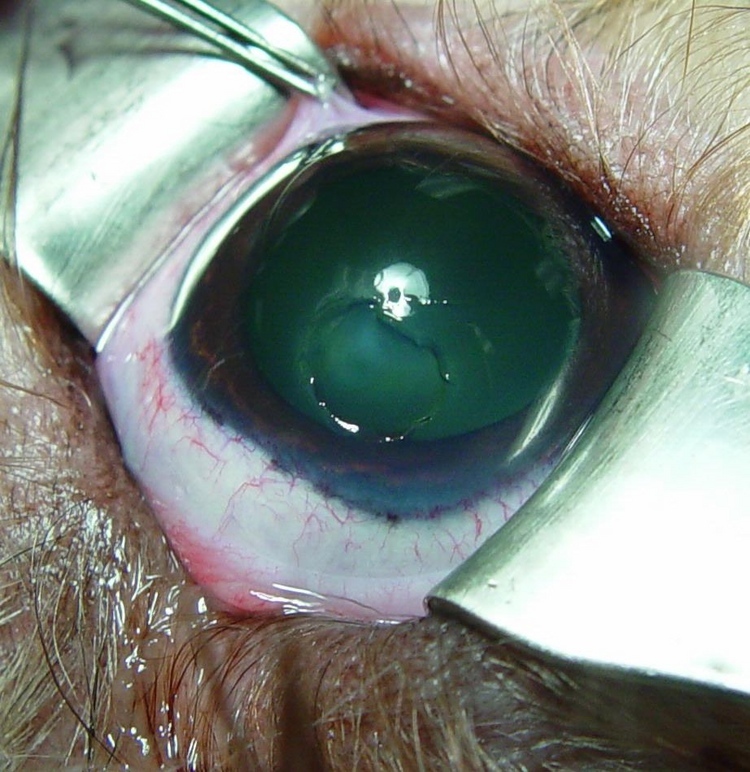 Supported by the culture and sensitivity study of the affected eye, the patient was maintained on ocular medications, oral antibiotics, and pain medications for 2-4 weeks. The eye has amazing healing potential providing the ulcer can be protected and remain organism free.